If you’re an avid drinker of brandy, whiskey, or gin (or generally appreciate local produce alcohol), then listen up – there’s a new distillery that has set camp in our beloved country town of Riverland in South Australia! Currently holding a value of 6.6 million dollars, Twenty Third Distillery will serve as Bickford’s Group of Companies’ principal distillery. It will specialize in creating top quality spirits such as Whiskey and Brandy, in addition to supplying the existing brands of Brandy (Black Bottle) and Gin (Vickers). 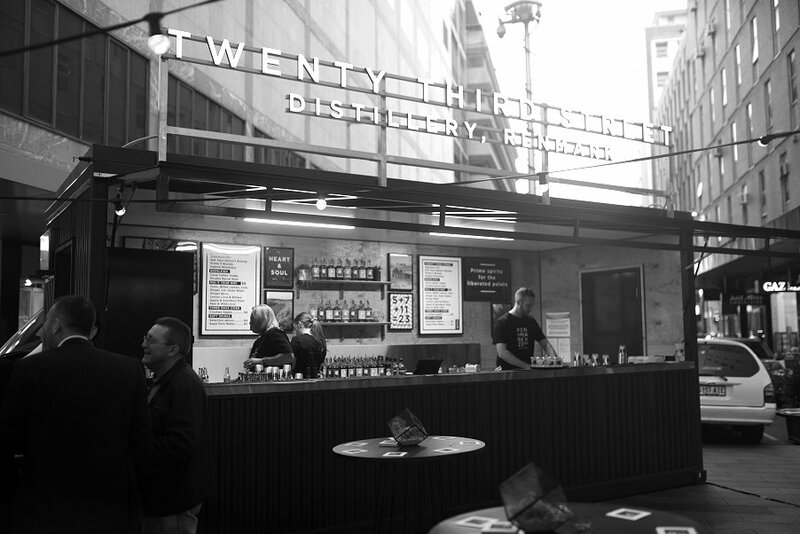 The beauty of the products by Twenty Third Distillery is that it will be sourcing all the ingredients locally, resulting in 100% South Australian support. The team at Adelaide Food Central was invited to the official media launch of Twenty Third Distillery’s ‘pop-up bar’ in Rundle Mall, where we were treated to some delicious cocktails, tasty nibbles of the freshest seafood; including oysters that were the size of my palm, and a great socializing ambience with other personalities from the media industry. 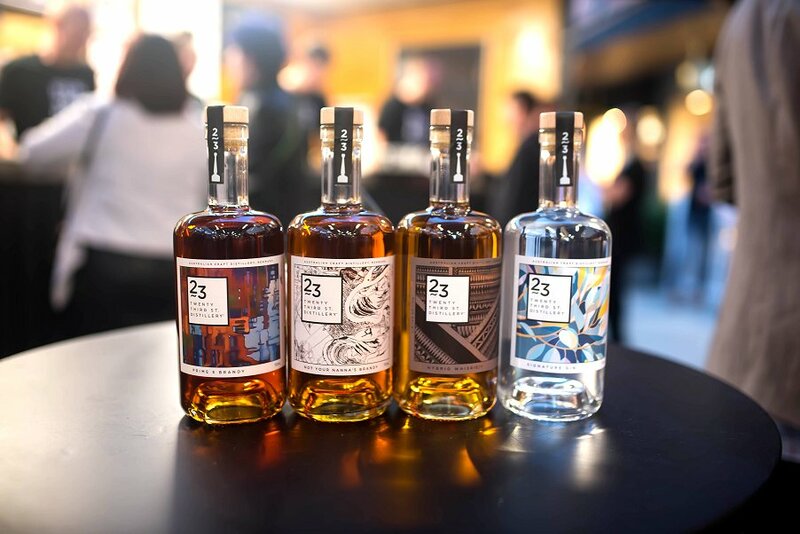 Also present at this event was Bickford’s Group Brand Ambassador Shaun Pattinson, who provided us with a snapshot of the signature cocktails that Twenty Third Distillery is aiming to supply to their customers. 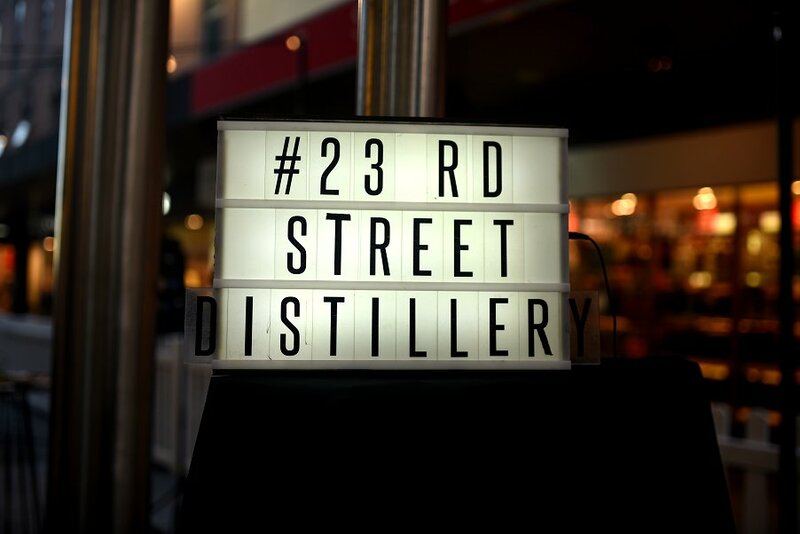 By bringing new life to a century-old landmark on 23rd street, this Distillery will revolutionize the way spirits are produced in the ever-so-fertile region of the country area of South Australia. The vibe was social, inviting, and fresh. Additionally, we were surprised (and delighted) to see SA local Amanda Nash bring excitement to this event by working on a full-body art on one of her models. The bottles holding the locally crafted alcoholic spirits possessed a beautiful collection of ombre colours, showing the age and quality of the spirits in a transparent manner. The spirits have been designed to have a unique blend of flavours that complement each other in an intoxicatingly stimulating manner. As one who has always wanted to visit Riverland, Twenty Third Distillery has only made me more curious to explore their beautiful country town and chuck them a visit to sample some of their delicious poison!